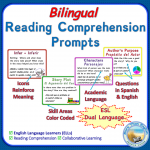 Check for comprehension: No matter what subject or level of ELD, effective questioning is crucial. Never say, “Do you understand?” because you will more than likely get a positive nod. Or the student might say, “No, I don’t get it” which won’t help you or the student at all. So be specific with your questions, and be aware of the level of thinking you are evaluating. Require students to respond in a complete sentence. “I don’t understand (what, why, how) ______.” See sample questions and activities and DOK (Depth of Knowledge) Question Stems. Teach students how to create questions: Use this Question Creation Chart. Teach and model what active listening looks and sounds like. Try this simple Active Listening T-chart or follow this more detailed I Can Listen Attentively lesson plan drafted by Columbia, MO school district. Which words matter most? This excellent article by Erick Hermann is an excellent overview on picking vocabulary for English learners. Identify important words in text, by typing in up to 65,000 text characters into WordSift and get the 50 most frequent words in the selection, excluding function words, in a tag cloud. Determine which academic words to teach. This academic vocabulary list from Iredell-Statesville schools in NC lists academic vocabulary by grade levels K-English II. Here’s another academic vocabulary list from Berkeley for grades K-12. 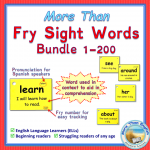 Teach word parts – roots, prefixes, and suffixes. Here’s a quick list of 100 from UCLA. Cognates are words that are spelled similarly or identically in Spanish and English and have the same or similar meanings. They are found at all frequency levels from the simple (car-carro) to the complex (analogy-analogía). You can use the free online Find A Cognate database to find if a cognate exists by either typing in an English word or a Spanish word. Or try this site for more cognate searches by subject area or by ending, or for a list of false cognates that confuse Spanish speaking students. Pre-Teach academic vocabulary: Use these 7 steps for pre-teaching vocabulary by Margarita Calderon as a framework for your vocabulary lessons. Stay on target while you customize it with your favorite activities. Word Generation Free. Designed for middle and high school, weekly units introduce 5 high utility academic vocabulary words in brief passages on controversial subjects currently under debate in this country. For example, “Should students be paid to do well in school?” introduces implement, motivate,undertake, incentive, and enables in a short passage about a program in New York City public schools which paid students who did well! Spelling City: Free (more activities available for a $50 annual fee). 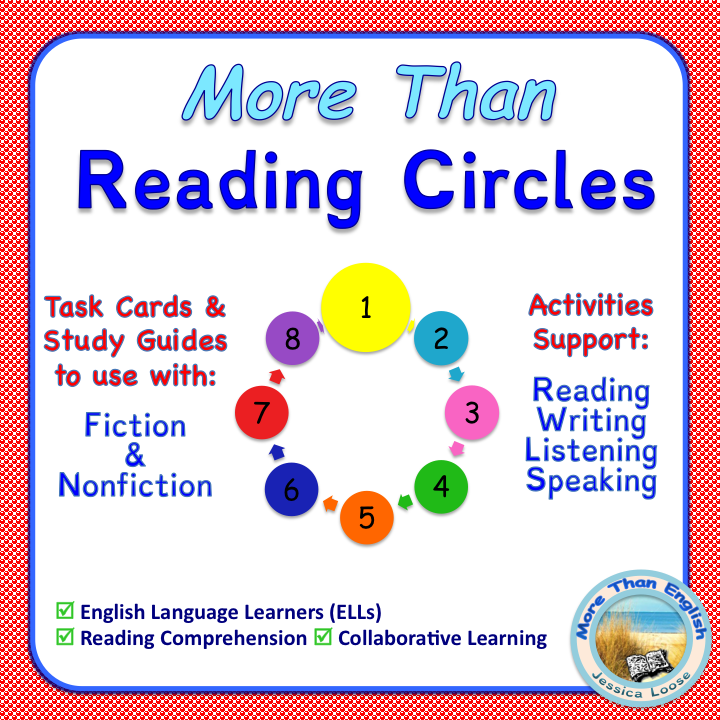 Lists by grade level or subject – from Dolch words to science or math vocabulary lists from K through high school – with dictated quizzes, printable quizzes, games, handwriting sheets, flash cards, and more. Vocabulary Password Game: A customizable vocabulary practice game in PowerPoint. One student stands with his back to the screen where a word is projected. The class gives the student clues. Inside Story Flash Cards: Build vocabulary using these stunning photographs with concise definitions and illustrative sentences. Random selections are categorized as “basic (tiger, flowerpot, eighty), easy (meager, underhanded, subterranean), medium (incompliant, domicile, expire), or hard (fugacious, legerdemain, notation).” Excellent resource for explicit teaching of root words, suffixes, and prefixes! NOTE: words are in miscellaneous order, so prepare yourself and your students for random investigations. Video clips for vocabulary of the week: Entertaining video clips from a teacher named “Devin” illustrate words from ambivalent to supercilious. 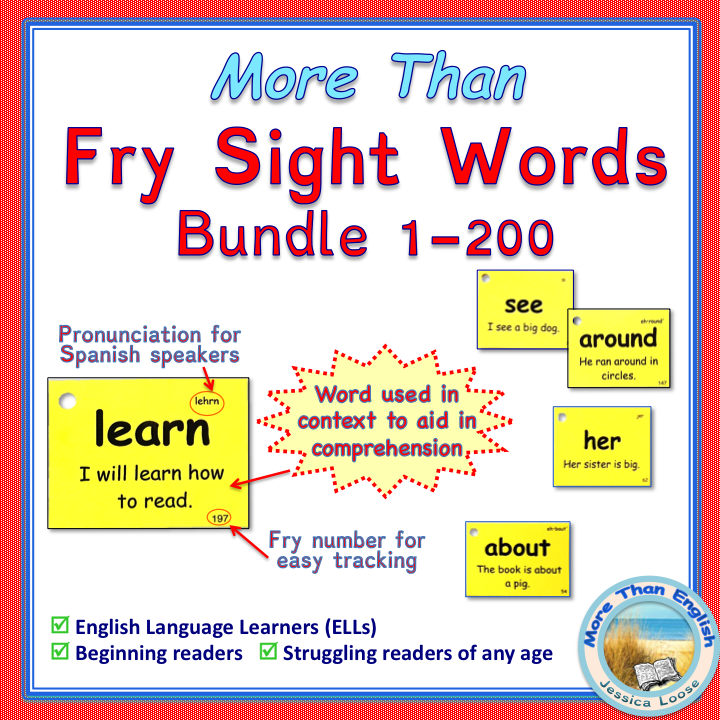 Teach phonics and comprehension at the same time. This video of Steve Krashen, an expert on second language acquisition, outlines the pitfalls of an over reliance on phonics instruction. Teach students how to navigate informative text. This article gives many strategies and resources to help students access new nonfiction content. Use graphic organizers to plan writing or to comprehend reading. Interactive Graphic Organizers: A wide variety of templates with text boxes you can download, fill in online, and print. More Interactive Graphic Organizers from Action Learning Systems. Readers Theater gives students multiple opportunities to practice. See also the Resources page on this site for more on Readers Theater. For specific suggestions, read this article on Science Visual Literacy: Learners’ Perceptions and Knowledge of Diagrams. Poster Analysis Worksheet: Have students research posters online and analyze their message. Use art to build literacy. Over 1200 art-based lesson plans from Crayola, searchable by subject matter and grade level. Use the WIDA writing rubric to evaluate student writing. Teach students how to write a Powerful Sentence. If they can’t write a sentence, they certainly can’t write a paragraph! Download, print, and laminate these cards: Starters/Transitions Adjective Noun Verb Adverb How Why When Where To model this strategy to the class for the first time, choose a topic they can all talk about such as “penguins.” (Begin with plural nouns so you can avoid entanglements with irregular verbs.) Then elicit suggestions from the class for each category. Never use “are” as the verb – that’s NOT powerful! Also, the verb can also include the object or be a verb phrase, such as “eat fish” or “play jump rope” or “throw the ball.” The first time you do this, your starter will be “the” with a lower case “t” and you will only use a couple of the green cards. Write their suggestions on the appropriate card with a dry erase marker. Then hand out the cards in random order to the students and ask them to arrange themselves into a sentence. (Or you can attach the cards to the board with magnets and move them around.) Read the sentence out loud with the class; let them make any adjustments to the word order. The first time around, they will probably have the green cards at the end. Show them how they can rearrange the sentence by beginning with a green card. Then ask them again if they want to make additional changes. They will soon see a variety of options. You can project or print out this Powerful Sentences Patterning Chart for the students to use independently. If they write their words on post-its, they can move them around. This is a rubric created by fourth graders, Check to see if your sentence is powerful. Have your students create their own rubric so they “own” it. Check out the Math Resources on this page. Students learn math differently in Latin America. This paper compares operations and notations from subtraction to algebra. Teach students how to read diagrams. This article gives specific suggestions on Science Visual Literacy: Learners’ Perceptions and Knowledge of Diagrams. 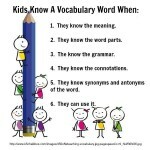 Identify key vocabulary and academic vocabulary. See vocabulary section above. Preview the text with the students. Try BIG FOX to map out chapters in advance. Prepare multimedia, visuals, and related readings: photos, videos, podcasts. Keep visuals posted! Include group work throughout the unit: Reciprocal Teaching,Think-Pair-Share. 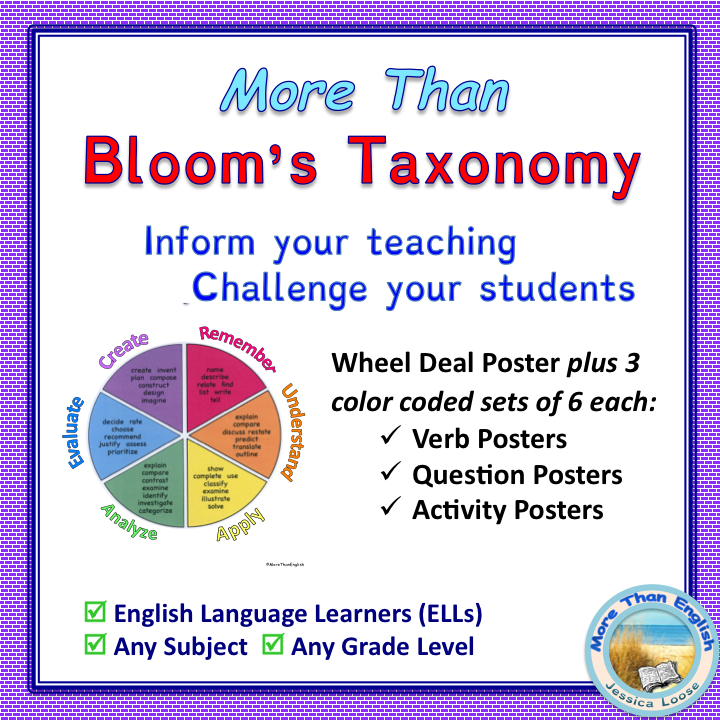 Show students how to use graphic organizers, flash cards, sticky notes, and highlighters. Provide models and sentence frames for writing assignments. Adapt homework and assessment so ELLs can show what they have learned. How to Make texts accessible (article from Colorín Colorado).